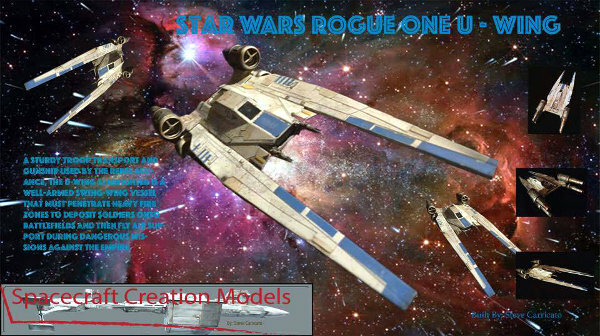 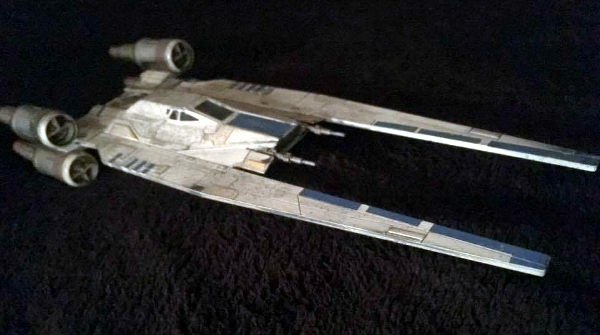 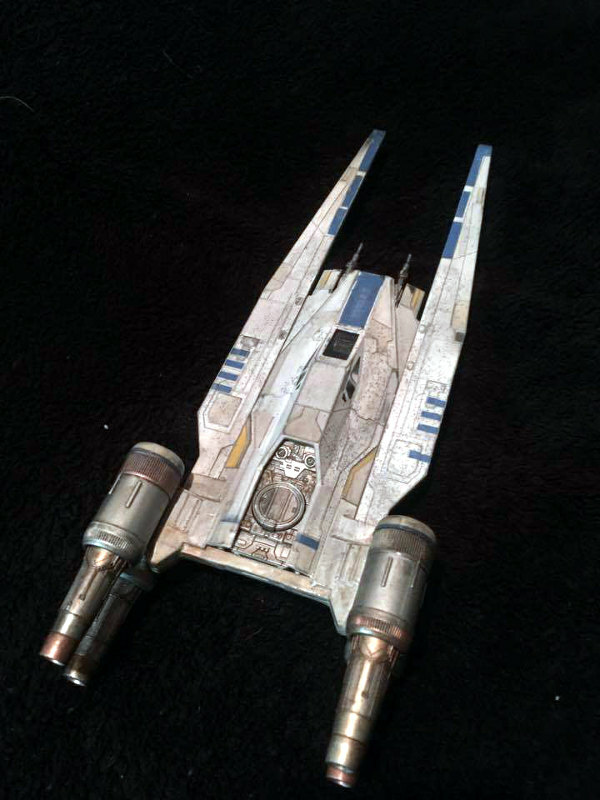 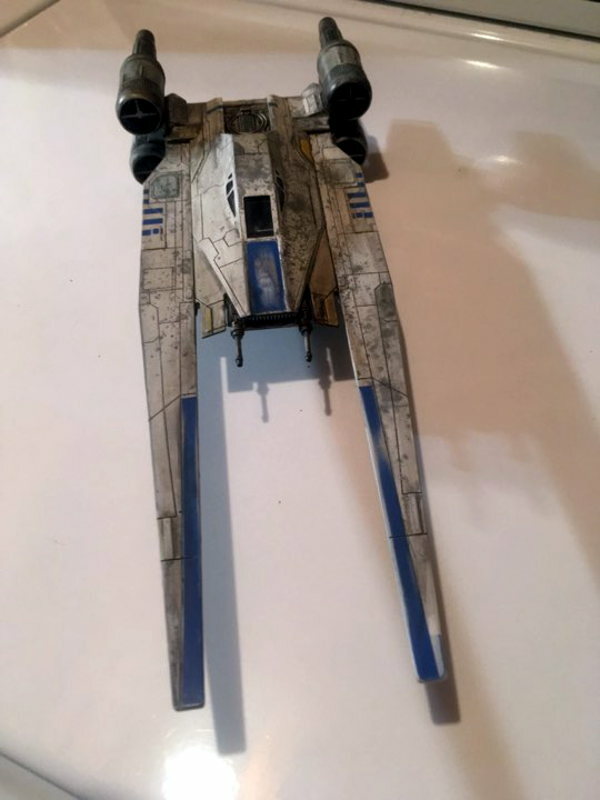 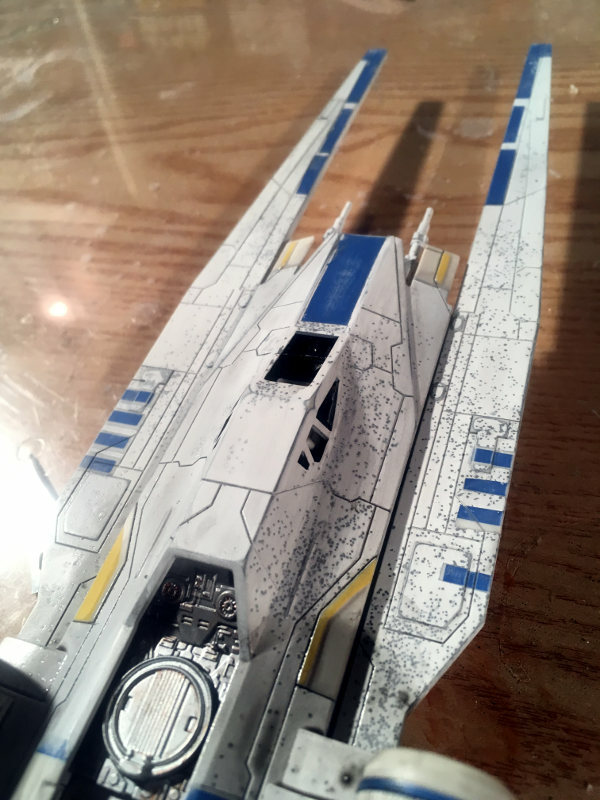 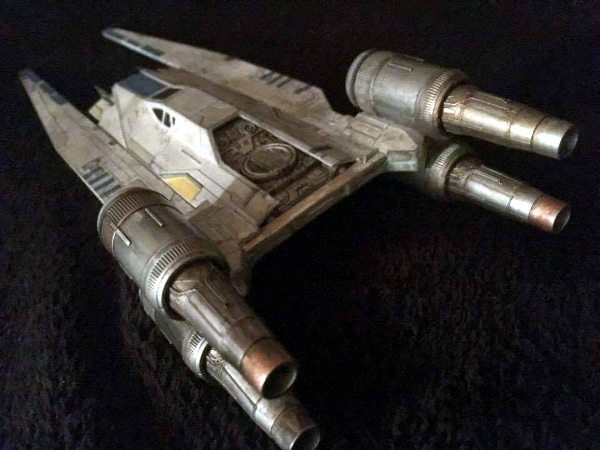 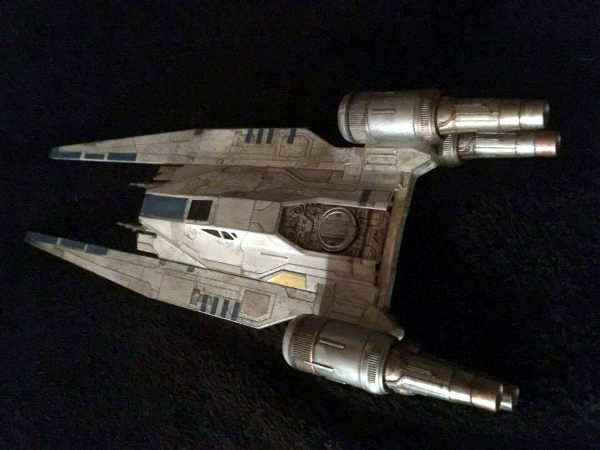 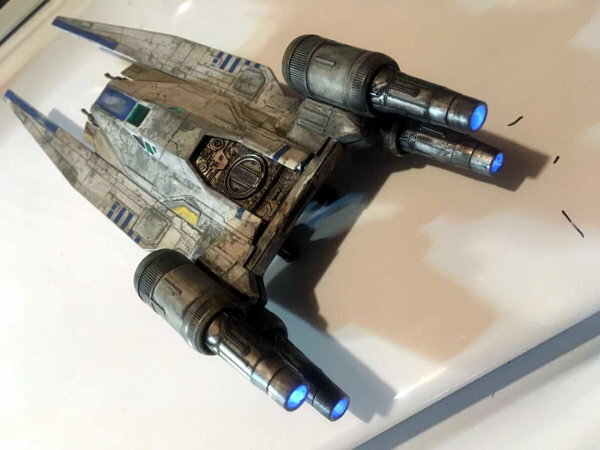 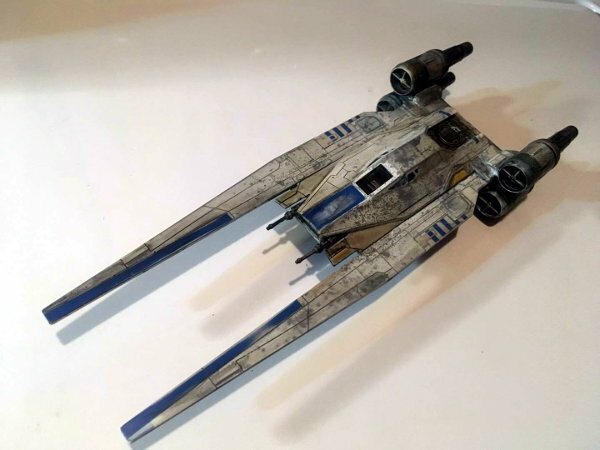 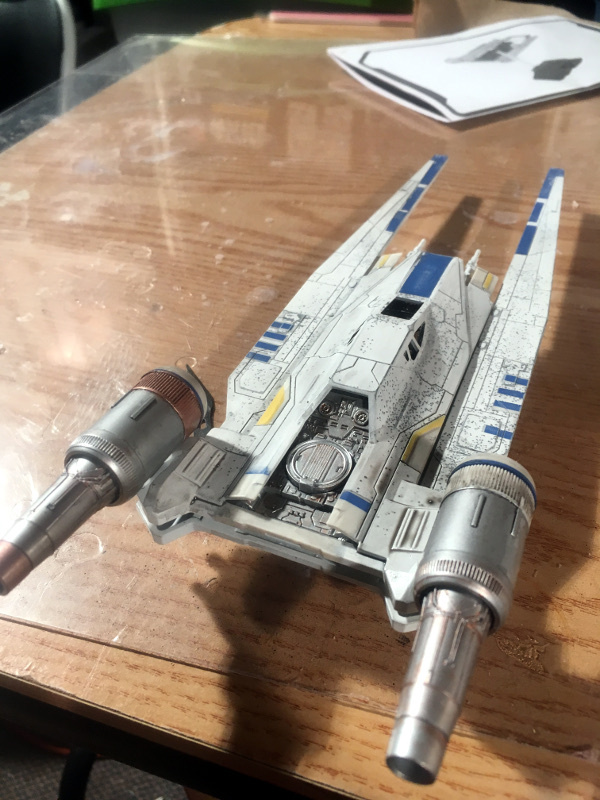 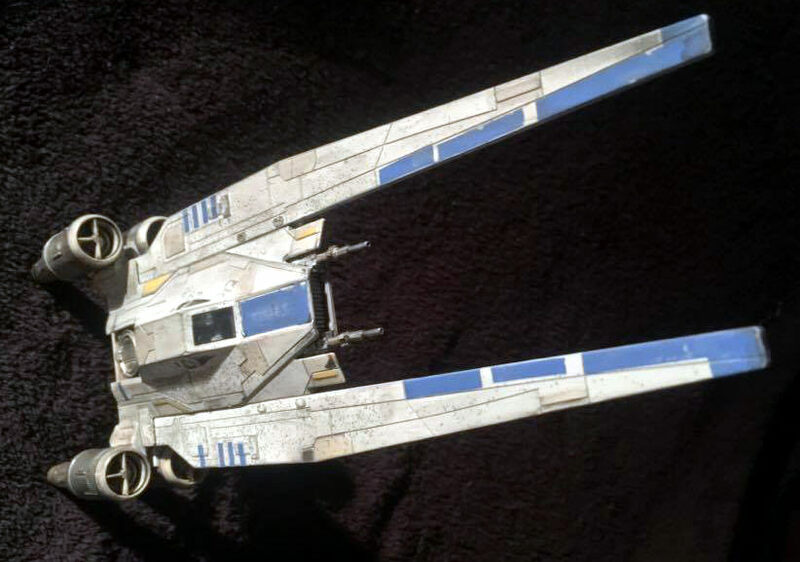 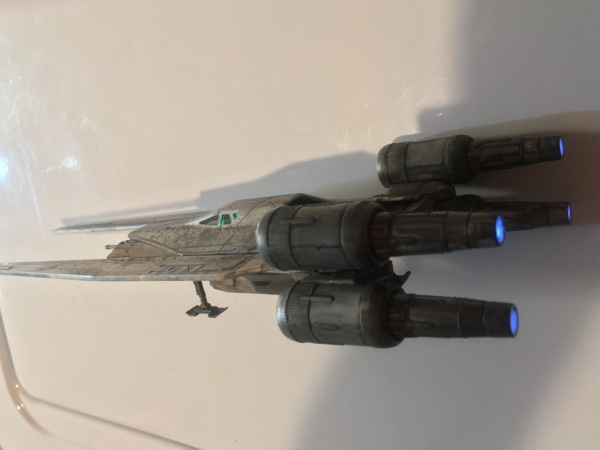 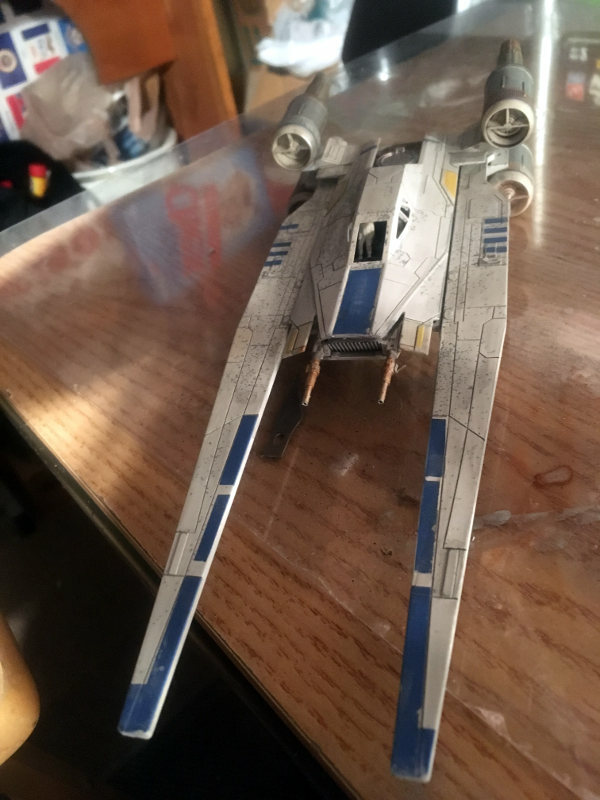 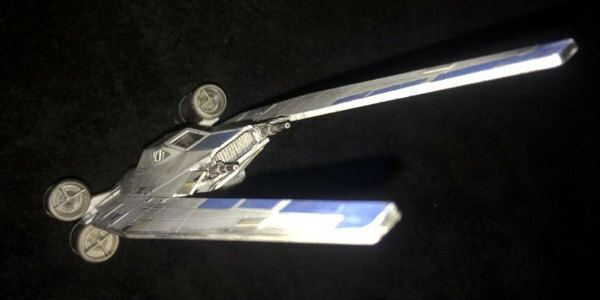 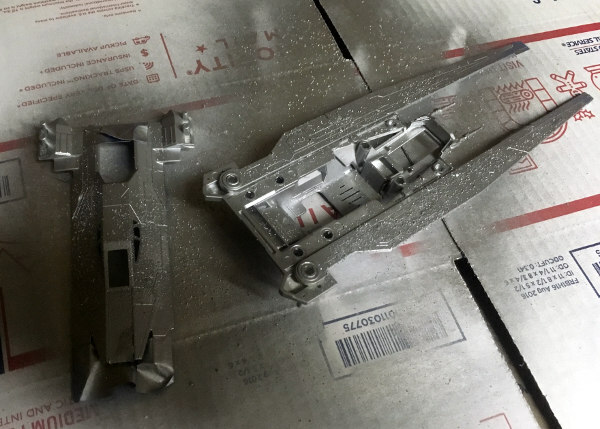 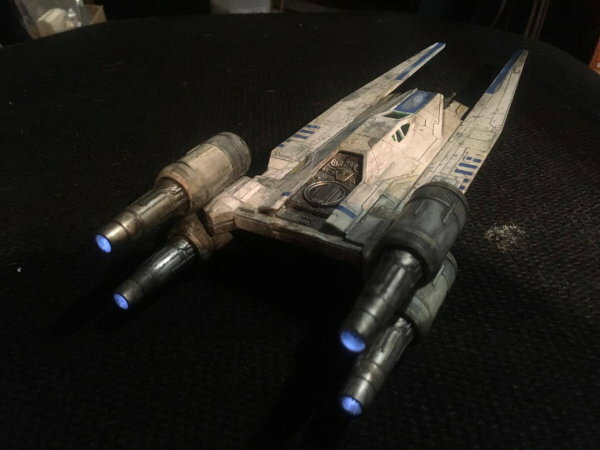 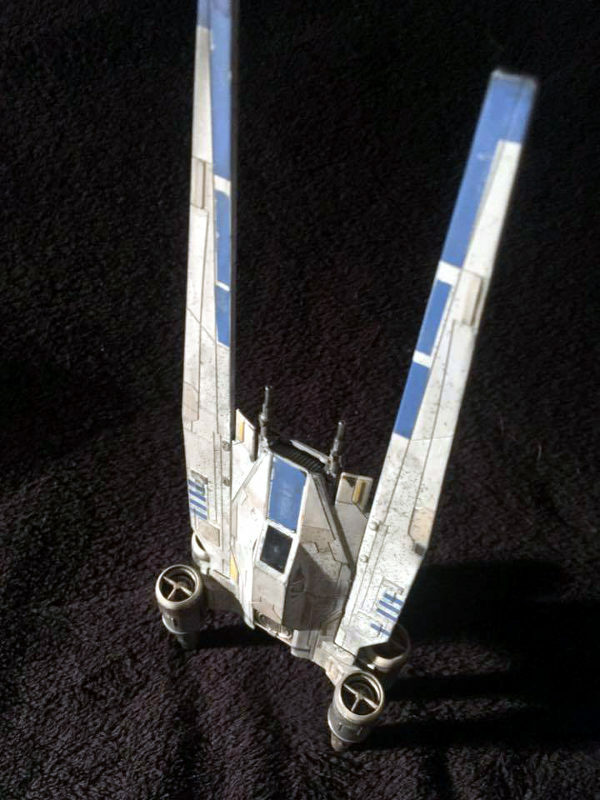 Steve Carricato has just finished another u Wing With modified lighting kit from the original Revell snap together. 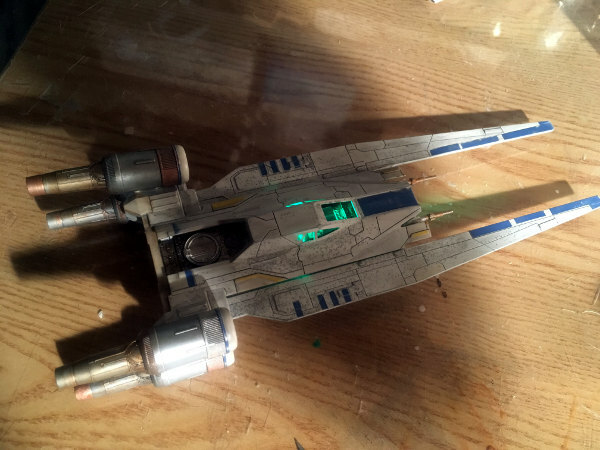 Basically what I did was I added 4 F superbright LEDs For the engines and tapped in to the circuitboard. 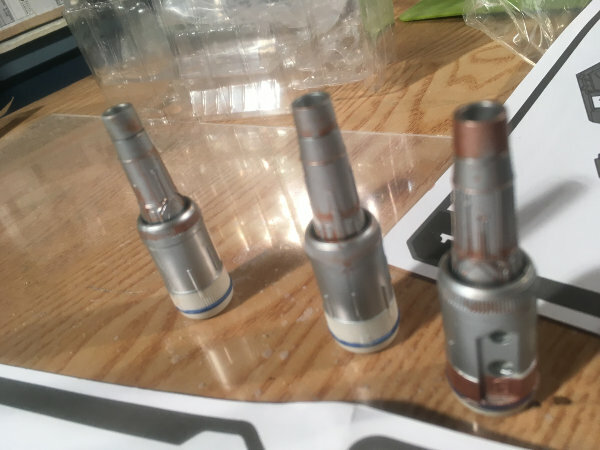 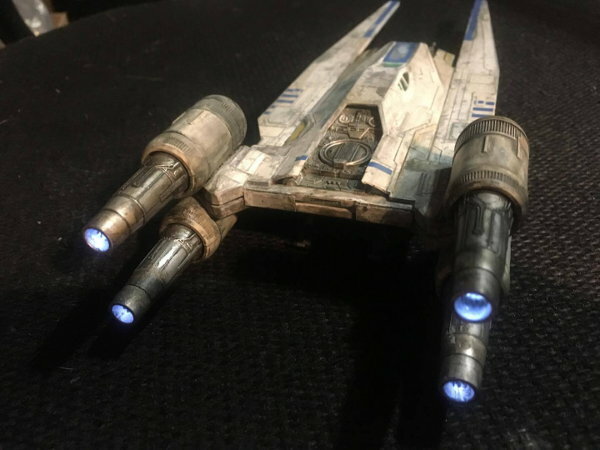 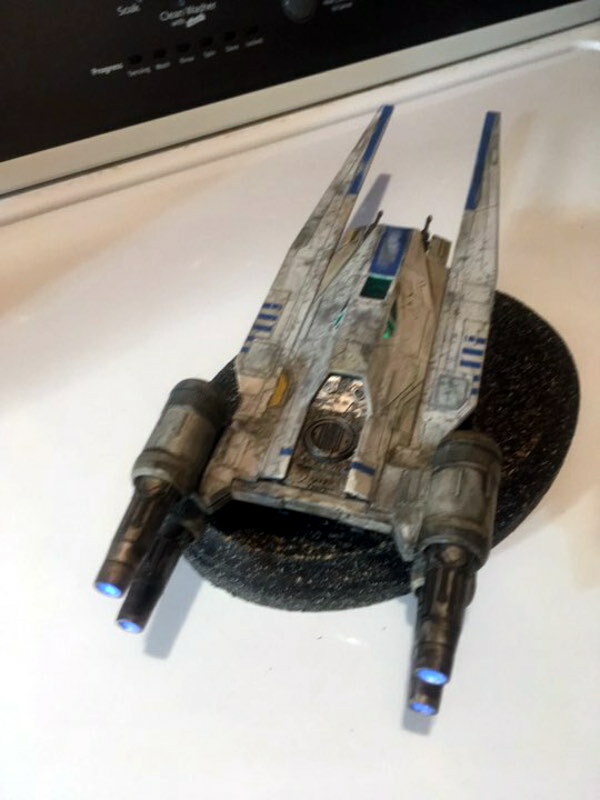 Steve's video demonstrates his engine mod for the u-wing. 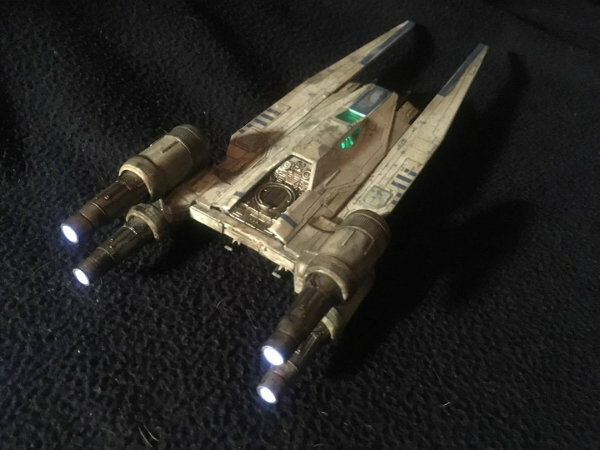 Engine lights now come on when activated. 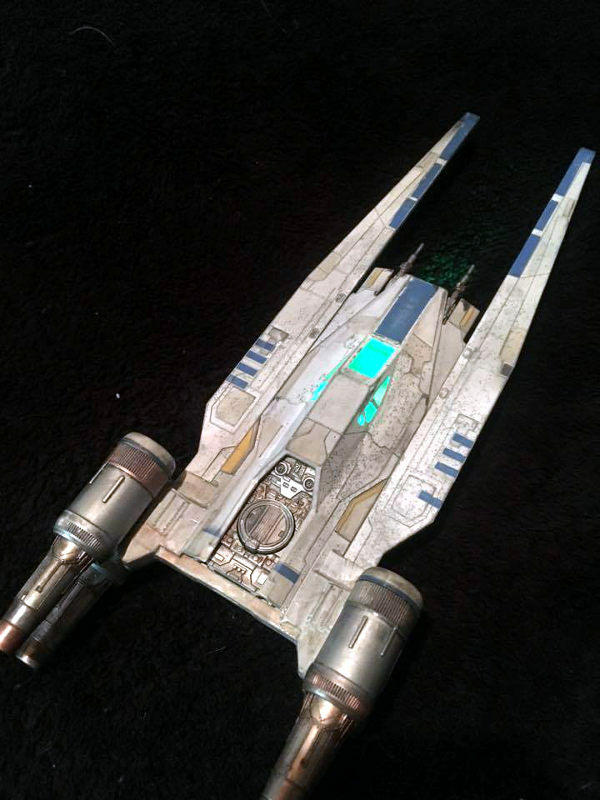 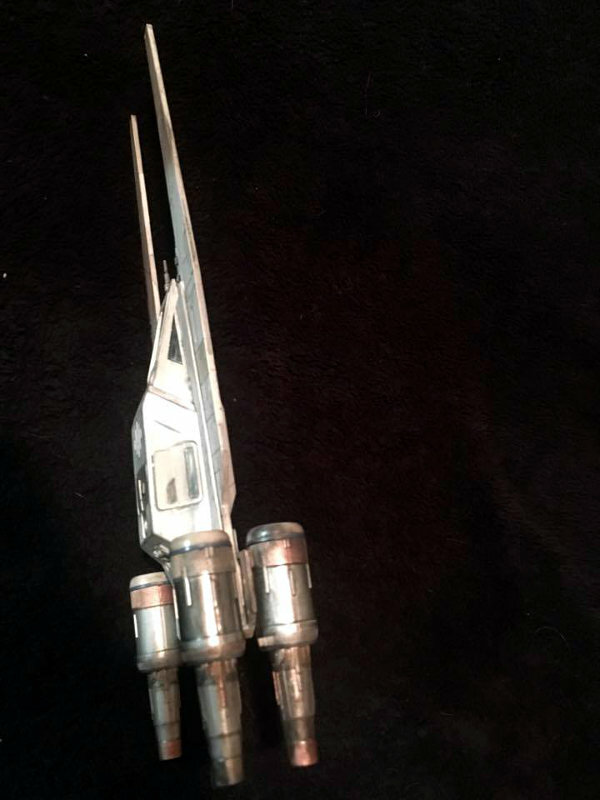 Updated 11-25-16: Steve has completed the U-wing from Starwars Rouge1.